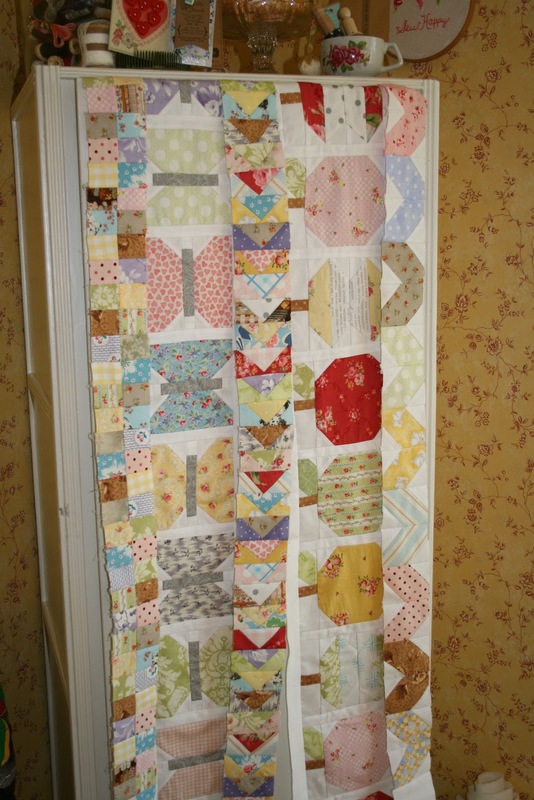 Today I got caught up with row five of Lori Holt's Row Along Quilt. 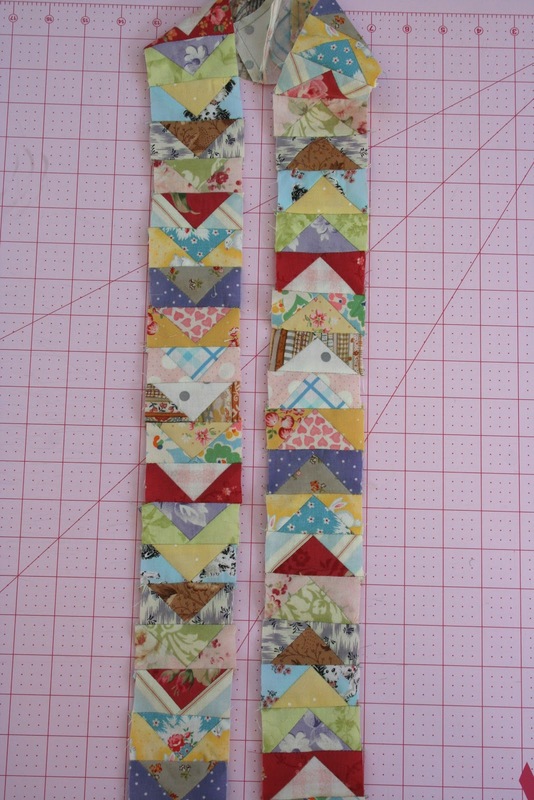 I had been dragging my feet on this row because I am not a fan of making flying geese. My points always seem to get cut off and end up looking wonky. I knew that if I followed Lori's method I would have success so I just went for it. These are little geese, 1 1/2" x 2 1/2". From what I can tell, I didn't lose one point, yea!!! As I've said before, one of the things I love most about this quilt is that we don't know what it will end up looking like. When I choose fabrics I'm not even sure of how the rows will come out but so far I am loving it. It's not too late to join the row along and get caught up. I always look forward to the next row. Sweet blessings today! Be sure to stop by tomorrow for November's Giveaway! I think it looks wonderful. And your colors are beautiful. I am doing this quilt along also. And like you I am dragging my feet on the flying geese. I have everything cut out but just not sure about sewing them. Thanks for the inspiration. So so lovely....I am loving the colours my friend. Hope you are very well. 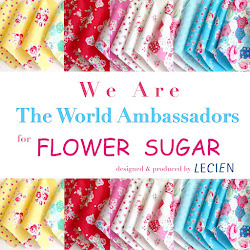 I really love those pretty fabrics you are using. I need to get caught up on mine.